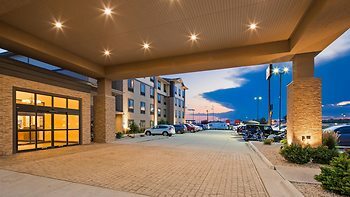 Hotel Best Western Plus North Platte Inn & Suites, North Platte, United States of America - Lowest Rate Guaranteed! With a stay at Best Western Plus North Platte Inn & Suites in North Platte, you'll be a 4-minute walk from America's 20th Century Veterans' Memorial and within a 5-minute drive of Lake Maloney State Recreation Area. This hotel is 2.2 mi (3.5 km) from North Platte Area Children's Museum and 3 mi (4.8 km) from Cody Park.